Cornwall may be best known for its sun, surf and sand, but it is also undoubtedly one of the leading foodie destinations in the UK. With a thriving restaurant scene and an incredible selection of fresh local ingredients available, there are plenty of fantastic foodie spots around the coastal county. There are far too many to decide between, so here are five of the best places to eat on Cornwall’s south coast. Nothing says Cornish seaside holiday quite like a good portion of fish and chips. While you can pick up a quality cod almost anywhere in the county, nothing quite beats the fresh seafood experience at Rick Stein’s Fish. 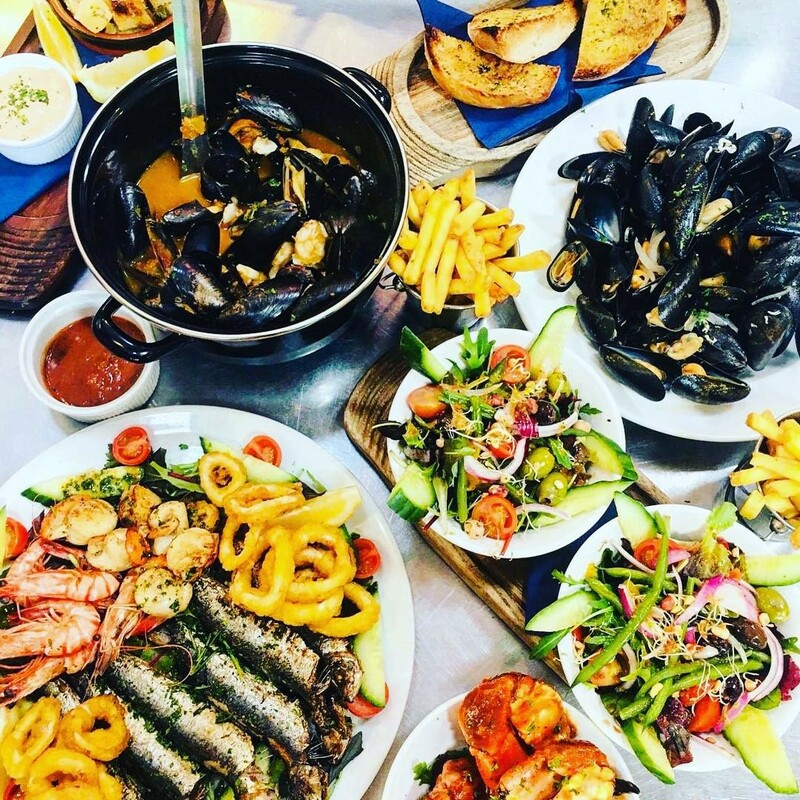 Overlooking the stunning Falmouth Harbour, the restaurant is in the ideal location for enjoying dishes such as grilled lobster or moules mariniere, as well as the classic fish and chips! All of the produce is locally sourced, putting together the best ingredients from around Cornwall. 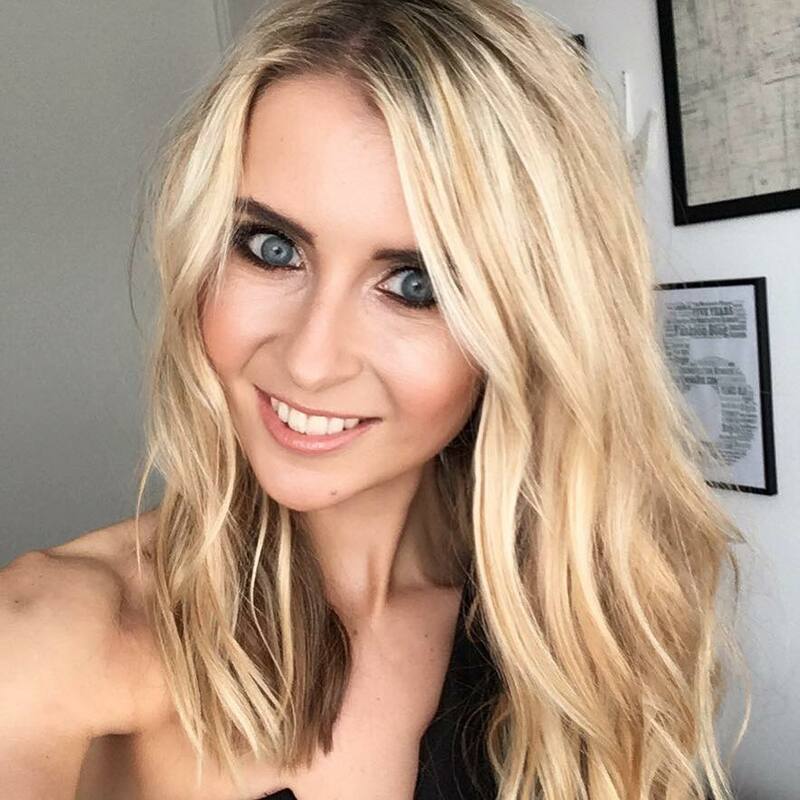 If you hadn’t already guessed from the name, the restaurant is owned by celebrity chef Rick Stein, so you are guaranteed a good bite! 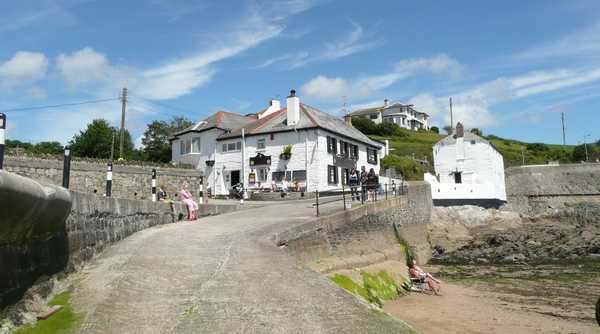 As a coastal county, there are many seaside eateries in Cornwall, although few match up to The Watch House. Set in the Roseland Peninsula, St Mawes harbour is quaint and quiet, away from the busier tourist packed beach spots, allowing for a peaceful dining experience with impressive views. Sitting in for a lunch or evening meal you’ll be able to look out over the harbour to St Anthony’s Head, a remarkable National Trust property. Being Cornwall, the menu is seafood rich, although there are many options available. 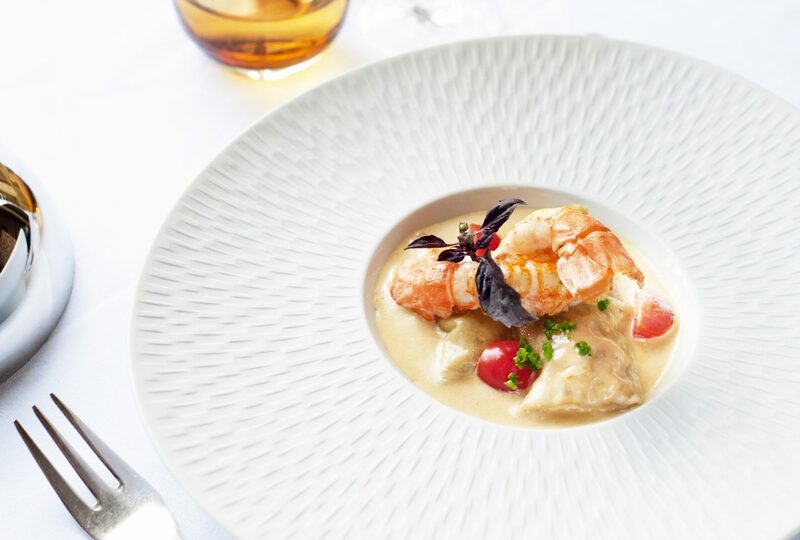 Each dish is as locally sourced as you can get; the lobsters are even caught right out of St Mawes Bay! 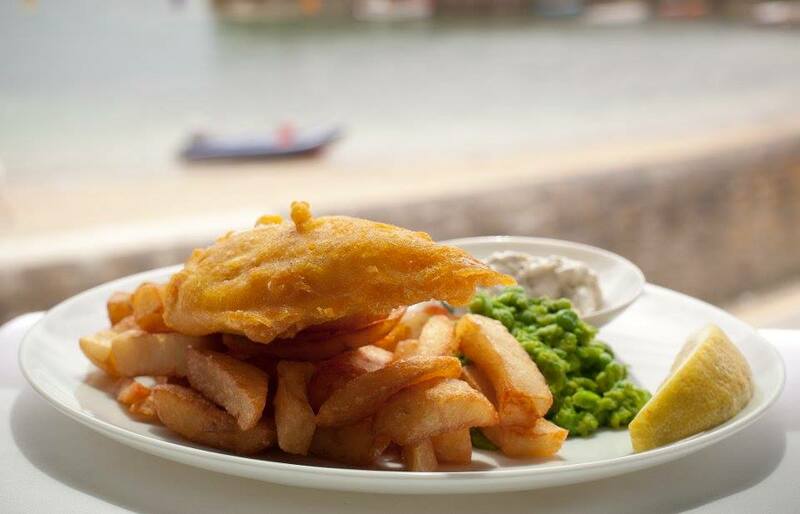 For those on the go, The Watch House also offers takeaway dishes, including the classic fish and chips, so you can sample some of the finest food while exploring all the area has to offer. While most beach cafes might be able to serve you up a scoop of ice cream, cone of chips and can of pop if you’re lucky, The Hidden Hut takes beach eating to a whole new level. As the name suggests, finding the hut’s location is part of the adventure; it is found a short walk down the National Trust coast path off from Porthcurnick Beach but is certainly worth the trek. 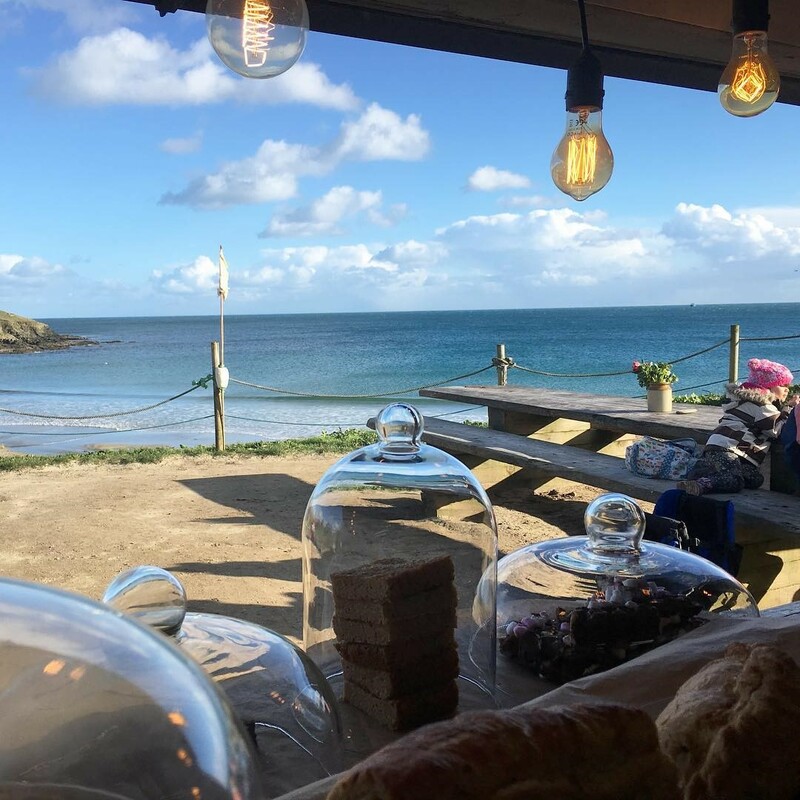 Day to day, the hut serves hungry surfers and sun tanners simple lunchtime treats, such as freshly-baked Cornish pasties, summer salads, or scrumptious rolls. A bigger portion from the specials board, such as curry or seafood chowder, will change each day. However, the real star for The Hidden Hut is their famous feast nights! With two to four events running each month, the hut invites you to bring your own plates, cups and cutlery for a picnic like no other. They serve up an impressive evening dish that is shared between all in attendance, giving you the opportunity to enjoy some great food and chat with some new foodie friends! Gorgeous gastro grub can be sampled at this charming pub run by husband and wife team Thomas and Katie Hannon. Located in the historic quarter of Truro, the pub has a rustic feel, with an assortment of dishes to match. 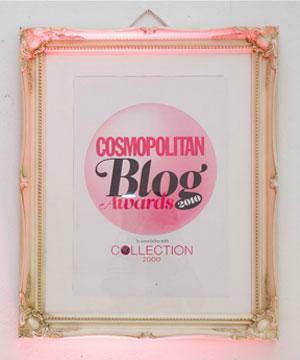 The star of the show is their three-course evening feast, with sample menu options such as a Cornish crab and prawn tagliatelle, followed by baked pheasant breast with roasted vegetables, finishing with a delicious sticky toffee pudding. As well as their incredible food, The Rising Sun boasts an impressive wine list and lengthy line-up of local ales. They regularly host wine tasting evenings, allowing you to relax in the welcoming warmth of the homely pub with a glass or two! Sam’s is a small family-friendly chain within Cornwall, establishing themselves in three permanent restaurant locations. 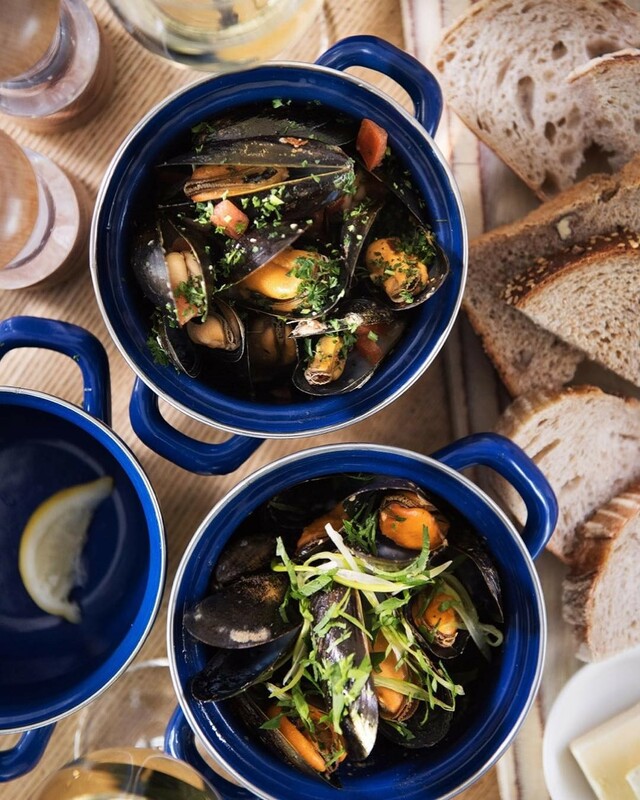 While one can be found in the city of Truro, our favourite is Sam’s On The Beach in the little village of Polkerris, as its seaside location makes the perfect spot for summer dining. What was once the old lifeboat station now contains a custom-built wood-burning pizza oven and provides diners with tasty slices of heaven and exquisite views of St Austell Bay! Soak up the sun with a cool cocktail in hand or watch the talented chefs whip up a feast with a fresh catch in the open kitchen. If you’d like to experience all that Cornwall has to offer, from the beaches to the food, then why not take a luxury family holiday in Cornwall and get the most out of the county! ?